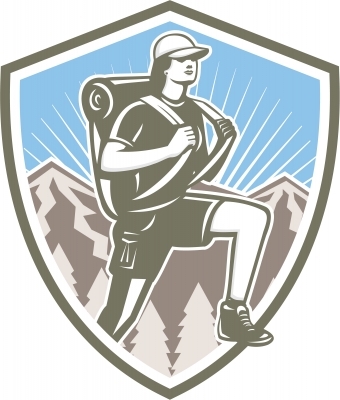 Our kids’ school has a program of outdoor camps that all high school kids attend each year. The camp in year 10 is considered the hardest of them all. It really puts the kids out of their comfort zone camping in wilderness areas without amenities where they have to trek, carrying all their gear and supplies. Our second daughter just returned from her camp and immediately burst into tears. She was not physically or psychologically ready for the stress of the camp and she returned exhausted, bruised, hungry and tired. I tried to buoy her spirits by sprouting words of wisdom like ‘what doesn’t kill you makes you stronger’, ‘it’s character building’ and ‘it will be something you will remember for the rest of your life,’ all true statements, but at the same time a voice in the back of my head was thinking thank god it wasn’t me, because over my dead body would I want to hike 30km in the rain with a tent and supplies on my back. Our eldest daughter had a similar experience, but had no tent; she had to sleep under a tarp and was so cold that she and her best friend shared a sleeping bag in order to share their body warmth. She did caving where she had to squeeze through a crevice called the ‘birth canal’ (where one of her teachers was too large and had to reverse up the cave and hike overland to meet the group at the other end). She returned home saying it was the worst experience of her life, however now that time has passed she is a bit more diplomatic in her description. Don’t get me wrong I do think it is a great program that teaches our kids resilience, perseverance and an appreciation for all the comforts they have in life – I’m just glad I don’t have to do it!